I'm a big fan of Visual Studio and I use it almost everyday, lately also for Xamarin development. I recently came across this Xamarin Contest and decided to give Xamarin Studio a try. Xamarin Studio loaded the solution blazing fast compared to Visual Studio (maybe because of the absence of R# and Visual Assist?). My first customization was to change the default color scheme for the editor windows of the Xamarin Studio. I'm more a night-scheme guy, so I checked just the dark theme for this purpose. I decided to go with Monokai as it seemed to me the easiest to perceive (clear, good contrast, not too dark). This, together with the Floating Window feature and the amazing f.lux create a perfect multiple-monitors development environment. 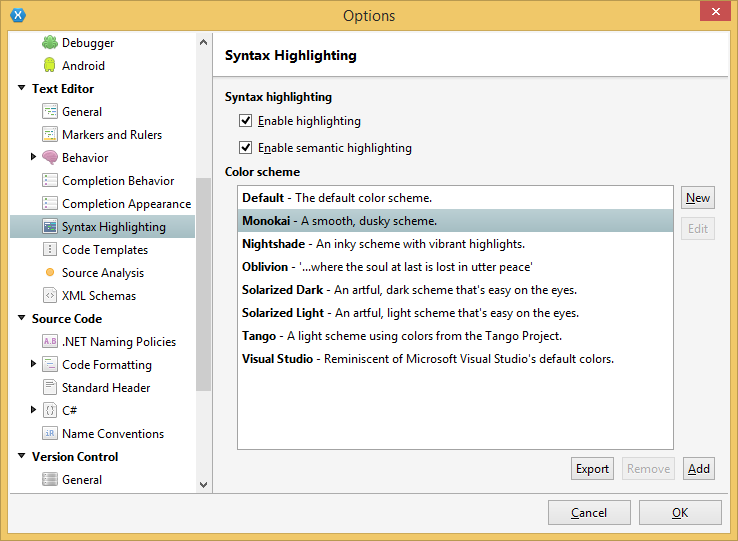 You can change the color scheme in the Options dialog under the Text Editor - Syntax Highlighting section. 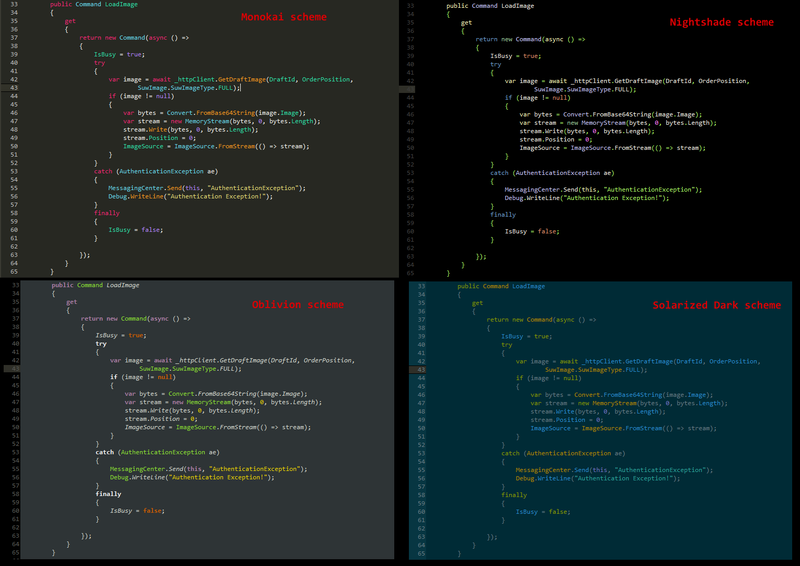 In the future, I would like to see a complete dark user-interface theme, like the one provided by Visual Studio.